You are a striker and you want to put the ball behind a notorious goalkeeper famous for his ability to save penalties. 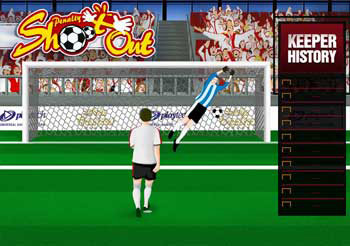 Choose the amount you want to bet, select a direction in which you want to kick and then click Kick. If the goalkeeper saves your shot, you lose. If you score a goal, you will win your bet amount multiplied by the odds multiplier displayed on the kick direction arrow.